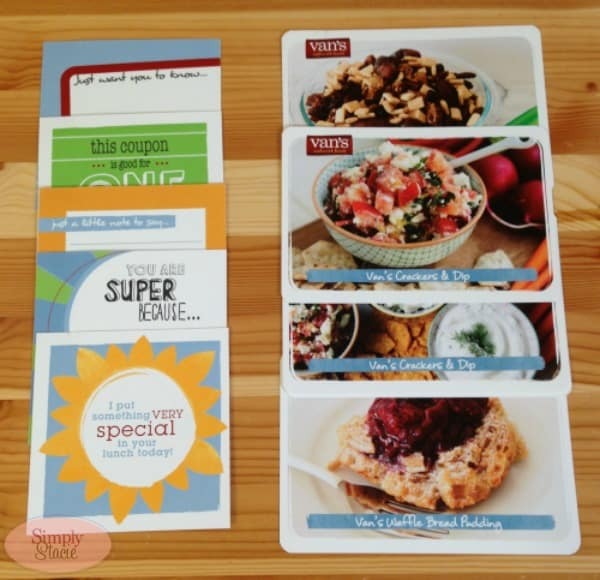 I’ve been a fan of Van’s Natural Foods for quite a while. I love their tasty healthy frozen breakfast foods. As a matter of fact, I haven’t tried anything of theirs that I haven’t loved. One of my favorites are their french toast sticks – I could eat those every day. I was excited when I heard they were coming out with a new line of snack bars, cereals, and crackers, and I’m happy to report they are every bit as delicious as all their other products! *Perfect 10 Crackers – these crackers contain six whole grains, including brown rice, gluten-free oats, millet, teff, quinoa and amaranth, as well as four seeds, flax, sesame, poppy and caraway. These crackers have a nice crunch and a great taste. They would be great for dipping, but I enjoyed them straight out of the box. They make a great afternoon or evening snack. These crackers have an MSRP of $3.29. * Fire Roasted Veggie Crackers – these crackers have a wonderful “veggie-kissed” flavor to them. Being a big fan of veggie crackers, I was impressed with the taste and texture of these crackers and loved them as a dipping cracker in hummus. These crackers also have an MSRP of $3.29. * Say Cheese! 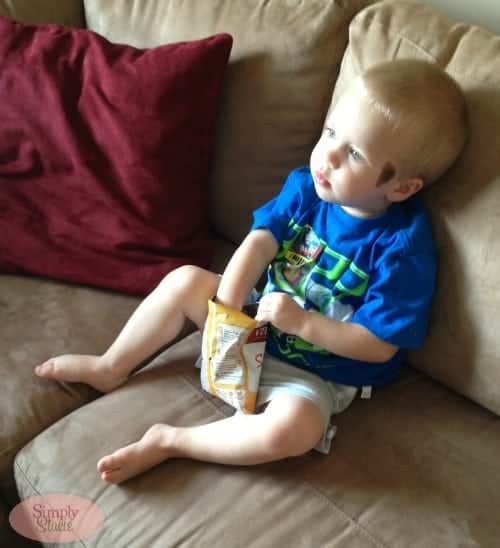 Snack Packs – not only do my husband and I love these snack packs, but my 2-year-old does too! He asked for a taste when he saw me eating them, then took off with my bag! These crackers are crunchy and cheesy and a great snack to stash in your desk drawer or a lunch box. This 5-bag box of snack packs has an MSRP of $3.99. * Cranberry Almond Snack Bars – these are a great morning snack to keep close by. These bars are chewy and delicious and give you the benefit of 10 grams of whole grains and 4 grams of fiber per serving. A box of these bars has an MSRP of $4.49. * Cinnamon Heaven Cereal – the name says it all! I like this cereal right out of the box, no milk required. My husband enjoys this cereal with a little bit of almond milk. It’s small size is perfect for little hands and great to pop into snack bags for an on-the-go treat. If you like cinnamon, you’ll love this cereal. This cereal has an MSRP of $3.99. 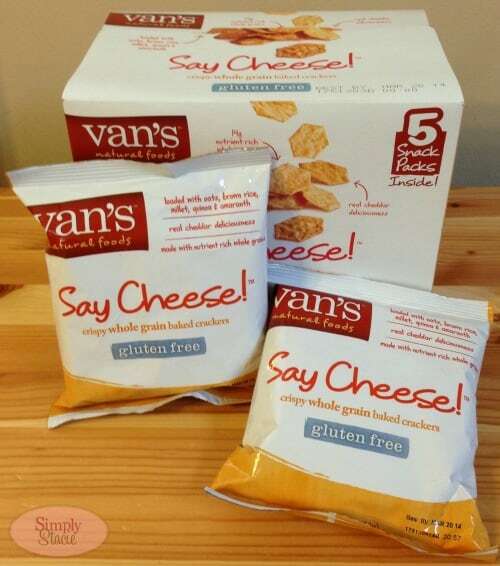 Van’s has been around since the 1970s. Starting out as a restaurant in the 70s, they brought their whole grain and gluten free waffles to grocery stores nationwide in the 80s. They are a company that values artisan quality and cooks their products in small, minimally processed batches with always-fresh ingredients. They offer healthier breakfast and snacking options with great taste. 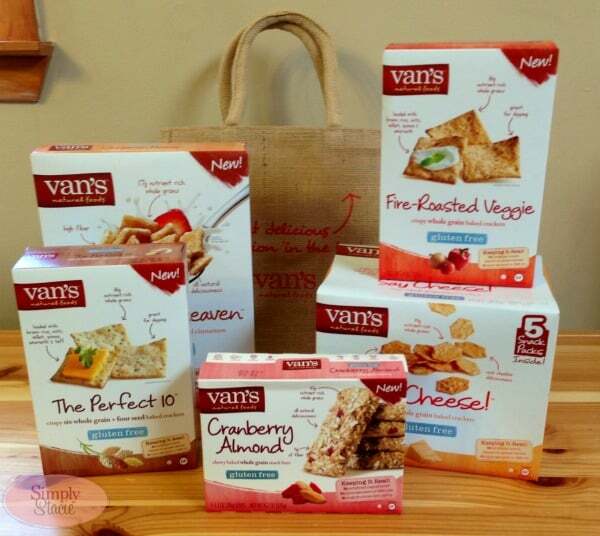 To find a store near you that carries Van’s products, check out their retail locator. I’d love to try the Gluten Free Blueberry Waffles, they look good! I’d like to try their cheese crackers. I’d like to try their French toast sticks. Thanks for the chance. I want to try the Blueberry Waffles. I would love to try the french toast sticks. I would love to try the blueberry waffles. I’d love to try the fire roasted veggie crackers. Fire Roasted Veggie Crackers sound delicious! The French toast sticks sound great to me! Thanks for the chance to win. I have tried Van’s before and would love some blueberry waffles… yummo!